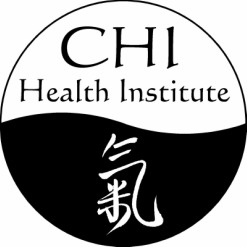 YOU CAN BECOME CERTIFIED to teach tai chi, qi gong, or meditation in order to guide yourself, your loved ones, or people in your community toward a life of health, fulfillment, and spiritual peace. - the course file is sent to the candidate who emails: contact@collegeoftao.com. It is advisable to ask for this when starting to work with a Senior Instructor, as it can take 6 weeks or more to complete. - You may download the application by clicking here and complete it. The first rank is Certified Instructor. A new instructor starts off at the Certified Instructor rank. The Certified Instructor knows the form and has the basic tools to teach the form in classes, workshops, and private lessons. They may also help students prepare for teaching certification. However, they cannot give the Practical Exam or the required Instructor Training Intensive to Certified Instructor candidates. A person may remain at this rank for as long as they like or they may choose to seek elevation to the rank of Senior Instructor with additional training and experience. Certified Instructors are required to pass the Introduction to Taoist Self-Cultivation Course, Part I. Read more here. The second rank is Senior Instructor. Senior Instructors can do everything the Certified Instructor can do, but they can also administer the Practical Exam and offer the required Instructor Training Intensive to Certified Instructor candidates. Senior Instructors have a deeper level of knowledge regarding their movement art, more than one year’s teaching experience in their form, greater maturity in teaching and practice, and additional training in the form of having taken the required Senior Instructor Training Intensive. A person may remain at this rank for as long as they like or they may choose to seek elevation to the rank of Master Instructor with additional training and experience. Senior Instructors are required to be Mentor of the Integral Way. Read more here. The third and highest rank is Master Instructor. Master Instructors can do everything the Senior Instructors can do. However, Master Instructors know the entire curriculum for their movement art including all of the deeper spiritual and energetic aspects. They can offer the required Senior Instructor Training Intensive for those Certified Instructors seeking elevation to Senior Instructor rank. Prior to their elevation as Master Instructors (i.e., as Senior Instructors), they have examined at least 10 successful candidates for teaching certification. They have attained a high level of mastery and maturity in their teaching and practice and are judged by the Master of the Tradition to have attained the level of Master Instructor. They are required to be a Mentor of the Integral Way Tradition. Read more here.